MOSCOW, May 4. /TASS/. 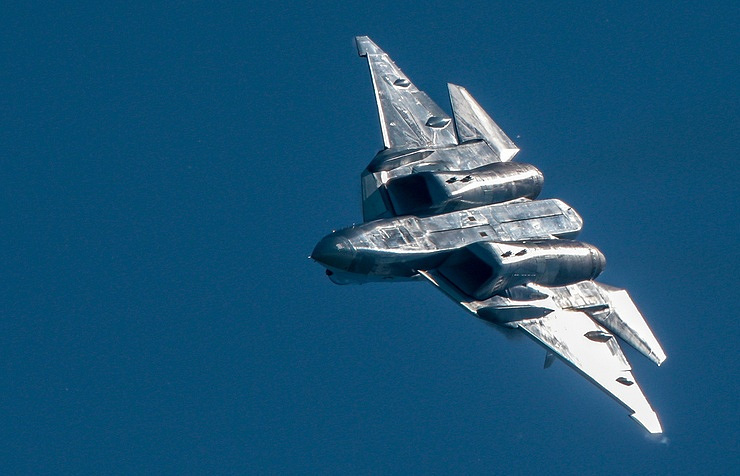 Two Su-57 fifth-generation fighter jets and two MiG-31K planes carrying cutting-edge Kinzhal hypersonic missiles flew over Moscow for the first time as part of a rehearsal of the air component of the Victory Day parade on Red Square on May 9, TASS reports from the scene. Russia’s MiG-29SMT fighters also took part in the military parade rehearsal for the first time. Overall, the rehearsal involved 75 aircraft and helicopters, including Tu-160 and Tu-95MS missile-carrying bombers, Tu-22M3 long-range bombers, Il-78 aerial refueling tankers, Il-76MD military transport aircraft, Su-35S, Su-30SM fighter jets, Su-34 and Su-24M bombers, Su-25 ground attack aircraft, Mi-26, Mi-8, Mi-28N, Ka-52 and Mi-35 helicopters. 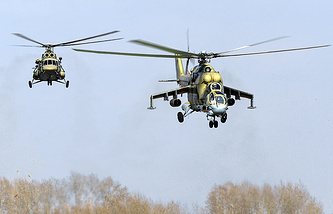 As Russia’s Defense Ministry reported earlier, during the rehearsal and at the military parade, the helicopter crews will fly over Moscow at an altitude of 150 meters and at a speed of 200 km per hour. The crews of tactical, long-range and military transport aircraft will fly at an altitude of 300 to 500 meters at a speed of up to 600 km per hour. Moscow’s military parade on May 9 to mark the 73rd anniversary of the Soviet Union’s victory over Nazi Germany in the Great Patriotic War of 1941-1945 will start with 33 foot formations numbering over 13,000-strong personnel marching across Red Square. They will be followed by a mechanized column comprising 159 pieces of military hardware, including T-14 Armata tanks, attack drones and combat robots mounted on trucks. The parade will end with the fly-over of aircraft and helicopters. The project of the Kinzhal airborne hypersonic missile platform was unveiled by Russian President Vladimir Putin in his State of the Nation Address to the Federal Assembly on March 1. According to the Russian president, the Kinzhal missile flying at more than 10 times the speed of the sound is capable of maneuvering and overcoming existing and future air defense and anti-ballistic missile defense systems. Since December 1, 2017, Kinzhal hypersonic missile systems have been on experimental and combat duty. Initially, the MiG-31BM was named as the aircraft to carry Kinzhal hypersonic missile systems. Later, Russian Defense Minister Sergei Shoigu said that the MiG-31K had been picked as a carrier for Kinzhal hypersonic missiles. The Russian fifth-generation Perspective Aviation Complex of Frontline Aviation (PAK FA) fighter jet took to the skies for the first time in 2010. As was reported in August 2017, Russia’s PAK FA fifth-generation fighter received the serial index of Su-57. The cutting-edge aircraft performed its first flight with a new engine on December 5, 2017. The experimental design work on the most advanced fighter jet should be completed in 2019 and its deliveries to the troops should begin at that time. As the United Aircraft Corporation’s chief executive said, the pre-production batch will consist of 12 such planes. The fighter jet features stealth technology and the most advanced radio-electronic equipment. Its new engine will enable it to develop supersonic cruising speed.